It doesn’t rain a lot in Barcelona and when it does it doesn’t usually rain a lot or for very long. That being said, unfortunately for those of you thinking of spending a few days in Barcelona it can happen during your holiday in the city. Which is why we have prepared this section for you, as you ask “What is there to do in Barcelona if it rains?” something that many of you will surely want to know when planning your trip. Of course the rain can change and even spoil plans that you have made, especially if you’re planning on spending the day outside, and we’ve therefore tried to give you a few suggestions and a variety of ideas, so that you can make the most of your day in Barcelona in spite of the rain. What was once an impediment to enjoying a day outside will turn into an opportunity to get to know other sights that you hadn’t thought of visiting, and you’ll have a great day enjoying other activities. The safest option to make the most of a rainy day would be to visit some of the museums or historic buildings in the city that you have on your to-do list. If, on the other hand, the rain has taken you by surprise and you didn’t have any museums in mind, we’ve given you a list of those that will shelter you from the rain as well as getting to know a bit more of Barcelona at the same time. And Casa Batlló and Palau Güell? In our opinion, both Casa Batlló and Palau Güell are best visited when it is not raining as the main attraction for both buildings are their colourful terraces that you would not enjoy as much as if it was a sunny day. Also, if it rains too heavily access to the terraces can be closed off. There are a huge amount of museums and historic buildings in Barcelona, and for this reason we’ve given you a list of some of the most attractive and interesting, all of which are perfect for a rainy day. If you’d like more information about each one, you’ll find it in their respective sections: ‘Barcelona’s Museums’ and ‘Historic Buildings’. If the ideas we’ve given you for brightening up a rainy day in Barcelona don’t take your fancy, we have prepared a little list with some other suggestions, and we’re sure that there’s something for everyone here. Cinemes Verdi (c/ de Torrijos, 14). If you’re on a walk and are interrupted by a shower, you can always take the opportunity to go into a bar or café for a drink. We recommend enjoying a good hot chocolate with churros, especially during the winter or if the temperature has dropped during the wet weather. We think that one of the best places to do this is in one of ‘Granges’ (the historical cafés) that are still going strong, or in one of the city’s excellent chocolate shops. C/ (street) de Petritxol, 2. C/ (street) de Petritxol, 11. C/ (street) d’en Xuclà, 4-6. C/ (street) Ramón y Cajal, 36-38. C/ (street) de Casp, 48. You can also go to one of the growing number of ‘teteries’ – Barcelona’s tea houses that are full of charm and as well as being able to choose from a huge variety of quality teas, there are also plenty of biscuits, cakes and tarts on offer. If you like the tea that you’ve drunk, and we’re sure you will, you can often buy some tea to take home with you, whether it’s for yourself or as a gift. C/ (street) de la Palla, 8. C/ (street) de Sant Domènec del Call, 12. C/ (street) de Sant Domènec del Call, 4. If it rains close to lunchtime or dinnertime? If continues to rain or starts to rain close to lunchtime or dinnertime the best thing to do is to start thinking about a restaurant to go to and take shelter there during the bad weather. We recommend certain restaurants depending on where you are at the time. 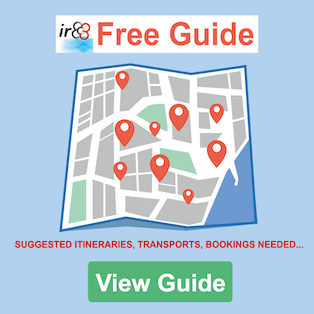 So, below you will find complete information on the different areas of Barcelona and, of course, the different restaurants on offer. We also encourage you to take a look at our sections on the best restaurants in Barcelona. You can avoid the rain and make the most of the wet weather by going into one of the shopping centres or large department stores in Barcelona. You never know, by the time you’ve had a look round, with a bit of luck it might have stopped raining and you can carry on with your walk without getting wet. If, on the other hand, you’d like to make the most of the day by buying some souvenirs or typical products from the region, we recommend going to one of the gift shops which offer gastronomic specialities from Catalunya, as we’re sure that you’ll end the day having bought everything you need. Quality souvenirs in the basement of the ‘Col·legi d’Arquitectes de Catalunya’ building. The perfect sweet shop and practically essential for buying a gift. Portal Nou, 29 | C/ de Petritxol, 18. Gallery with wonderful postcards and 3D paintings. You can also find posters of Barcelona and of everything in between. Space where various designers and local artists exhibit their pieces and products. The perfect place to support young artists and creatives at the same time as buying “made in Barcelona” gifts. All sorts of quality gifts, many of which are made locally by Catalan artists or small businesses. Go to the souvenir section and the supermarket, where you’ll find typical local products. Plaça (square) de la Llana, 7. Gallery very close to Plaça Sant Jaume with beautiful paintings and posters of the most iconic places in Barcelona and other unique, quality souvenirs. You might think that a rainy day could present problems if you have children in tow, but you don’t need to worry about this, as there are plenty of children’s activities and sights that you can see as a family in spite of the rain. 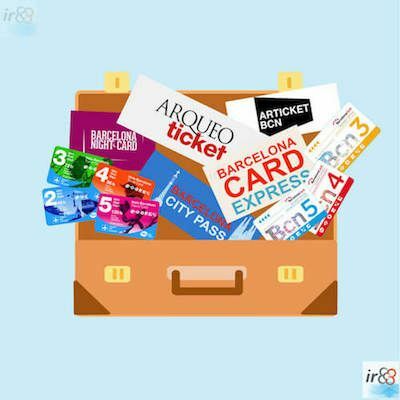 Out of the list that we’ve already mentioned, many of these activities are excellent things to do with children (such as going bowling or ice skating, as well as visiting some of the museums and sights that we’ve listed), but below we’ve given you a few suggestions that are specifically geared towards the youngest visitors to Barcelona. These are what we consider to be the most interesting ideas for when it rains, but of course there are many more – for example going to the cinema. If you’re interested in exploring other possibilities, you can look under our dedicated ‘Barcelona with children’ section, although note that not all the activities are perfect for a rainy day. Here you’ll find an extensive list of things to do as a family in the city. After going to any of the sights or activities that we’ve suggested, we’re sure that you’ll be ready to re-charge your batteries while your children are entertained (providing they still have the energy, of course!). We’ve therefore given you a list of bars in which children are always made to feel welcome. C/ (street) de Pau Claris, 90. Pl. (square) de L’Academia s/n – C/ (street) del Comerç 36. C/ (street) de Marià Aguiló, 99. And if it only rains a bit? If there are only a few drops of rain we recommend you to take a look at the weather forecast to see if it will rain more or not. If it is going to rain more, the best thing to do is to carry on with your original plans but take an umbrella in your bag or, even better, a raincoat so that you don’t have to wait for a day when it isn’t raining as much. And if you’re here to fall in love… with Barcelona, of course…. we’re sure that you will do so in the rain too, because as Sergi Pàmies wrote in his book “Cançons d’Amor i de pluja” (“Songs of Love and Rain”), if you fall in love in the rain, the love will endure longer than that experienced in fine weather.